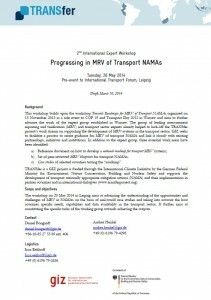 On 20 May 2014, the GIZ-run TRANSfer project organised an international expert workshop aiming to advance the understanding of the opportunities and challenges of Measurement, Reporting and Verification (MRV) in NAMAs taking into account the specific needs of host countries, capabilities and data availability in the transport sector. 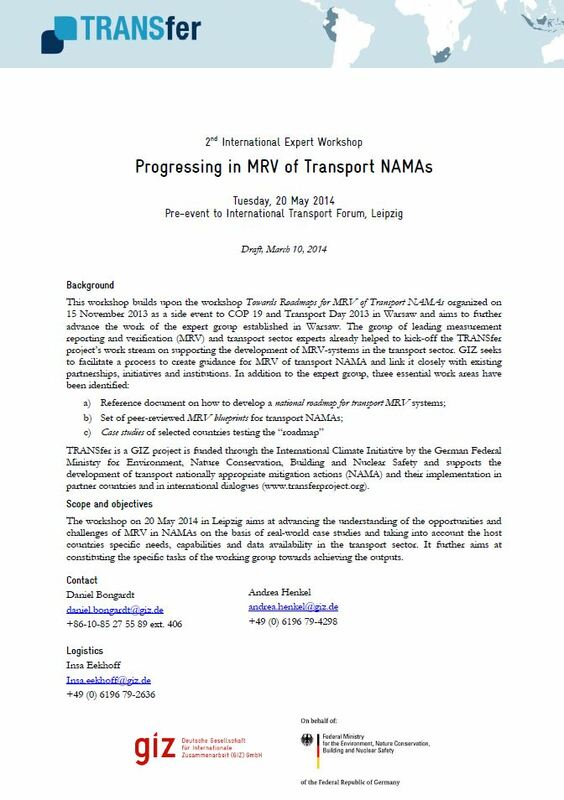 It further aimed at fleshing out the specific tasks of the working group identified in the 1st expert group meeting Towards Roadmaps for MRV of Transport NAMAswhich took place as a side event to COP 19 and Transport Day 2013 on 15 November 2013 in Warsaw. An important output of the first workshop was to structure the thinking around the three dimensions on (a) data, (b) analysis of impacts and (c) governance. Find here the full report of the first expert group meeting.